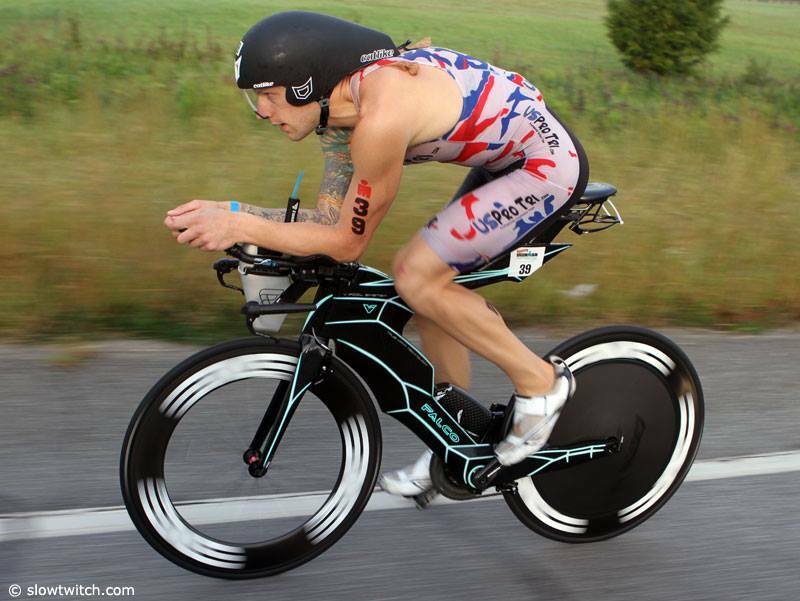 Welcome for the first time to the Luray Triathlon, Pro Triathlete, Nick Brodnicki! 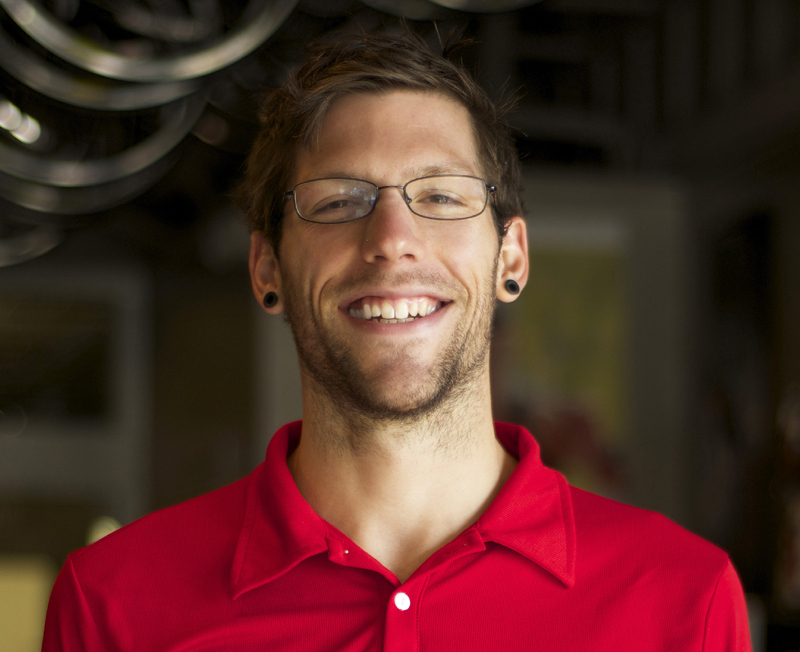 Nick, from Richmond, VA, has a passion for endurance sports and sharing that passion as an endurance coach. He races and coaches full time. Nick is not one to throw in the towel, in fact it is at those moments that he finds the greatest strength to pick him self up and push through. 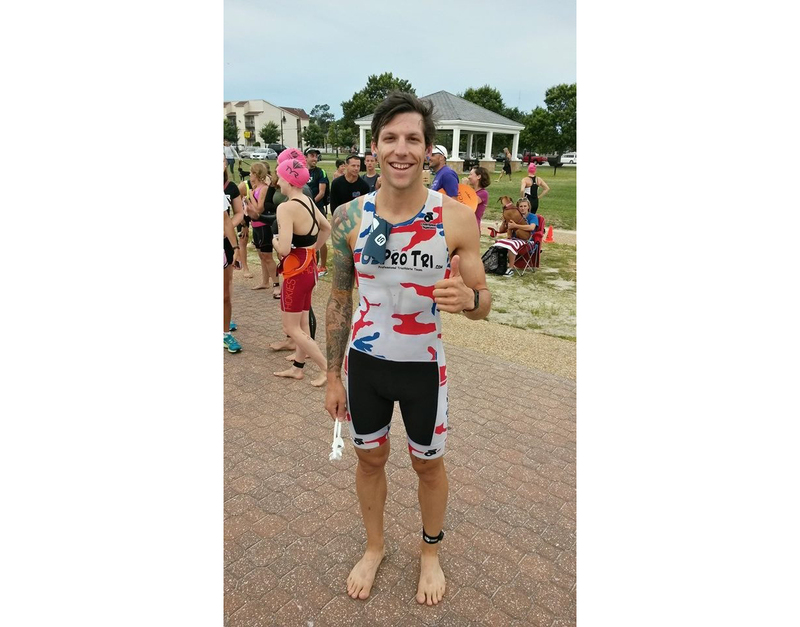 Being diagnosed with a disease that can make normal life challenging has pushed him to train even harder, as he learned to overcome obstacles so he could still be a triathlete and even reach Pro status. Showing his great strength, Nick will do something he has never done before, race two consecutive days. 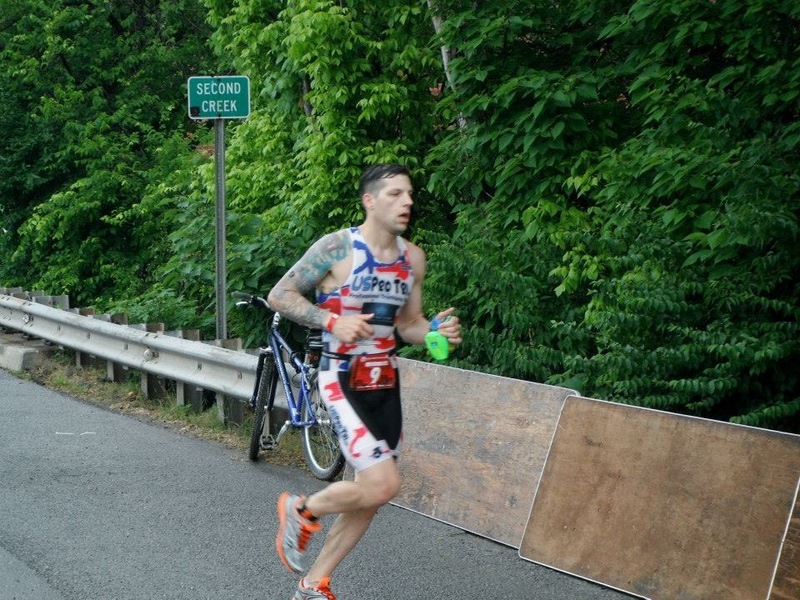 Nick will race the Luray Double competing in both days of the Luray Triathlon. He will race the Luray International Triathlon on Saturday, Aug 15 and then race the Luray Sprint Triathlon on Sunday, Aug 16. Nick will join a talented field of both elite and amateur athletes who will be competing for part of the $5,000 cash prize purse. A) I’m a 29 years old professional triathlete who races and coaches full-time. I’m in my 3rd year of racing on a pro level and about 6 years into coaching. I’ve only lived in Virginia for 2-years now (originally from Buffalo, NY) so I’m still acclimatizing to this heat and humidity. Also, I love popcorn and pizza and I’m glad triathlon helps me burn enough calories to enjoy those two things often enough. A) On a personal level I just want to go faster and be the best athlete I can be. Since I’ve been able to play sports as a child I’ve always enjoyed being able to push myself and experience life through athletics. There is a certain perspective on things I only seem to get when I’m most beat down and ready to throw in the towel. Since I’ve earned the right to race in the pro field I’ve really added an element of sharing my passion for endurance sports with others. Coaching allows me to do that but so does just interacting and sharing on social media and through a blog. A) I went through a change after my first triathlon and then through another change when I was diagnosed with Meniere’s disease. The first change was learning about truly dedicating myself to something and then the second change was about understanding how to become more self-aware in how I treat myself (mentally and physically) and how I then treat others. My disease can’t end my life but it did drastically change how I had to live it so to be able to continue training and racing triathlons took a lot of new thought into how I would react to certain things like food and training stimulus. A) First of all I’ve be seeing signs for the Luray Caverns for two years now, nothing better than a triathlon to get me out to an area I want to explore. It doesn’t hurt that Luray has an Elite field either, I enjoy the opportunity to test myself against some of the areas best. A) My primarily goal for every race is to go as hard as I possibly can. Racing the Luray’s Double is a new challenge for me as I’ve never raced on two consecutive days before, thus I hope to be able to actually go hard two days in a row! I’d also like to win! A) Don’t take yourself too seriously and try your best to stay in the moment. Being able to train and race is a wonderful luxury so if you are able to dedicate any amount of time to triathlon savor it and don’t worry about what anyone else thinks. A) After Luray I’ll be heading to Des Moines, Iowa in the beginning of September for another Olympic race. Another opportunity to go hard! Good Luck, Nick, in Luray!